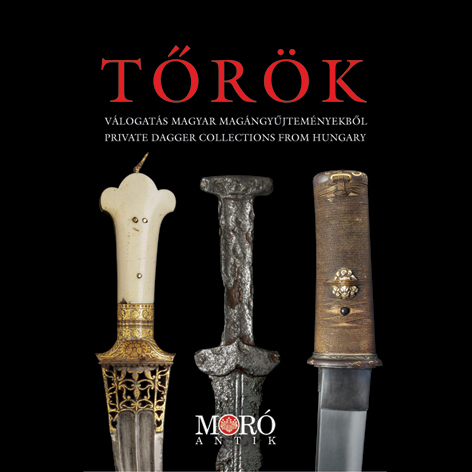 The Moró Antik Gallery has published six catalogues for related exhibitions. The catalogues are available from our gallery. We recommend this book for those who already know-or have our first netsuke catalogue and for those who do not know what a netsuke is. A great many people will be touched by this beautiful area of the Japanese culture. Through these 180 netsukes we can inspect the old Japanese weekdays, religion and mythological world. 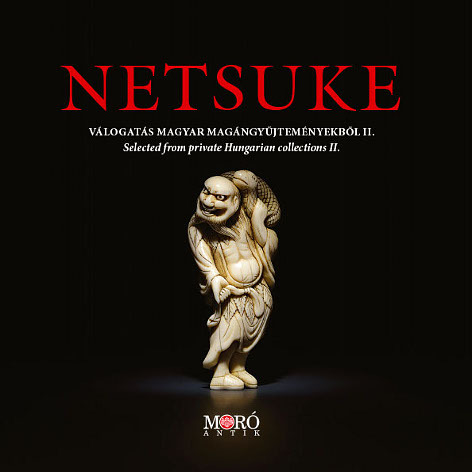 Most of these -acquired since our first netsuke exhibition- netsukes had published in this book for the first time. 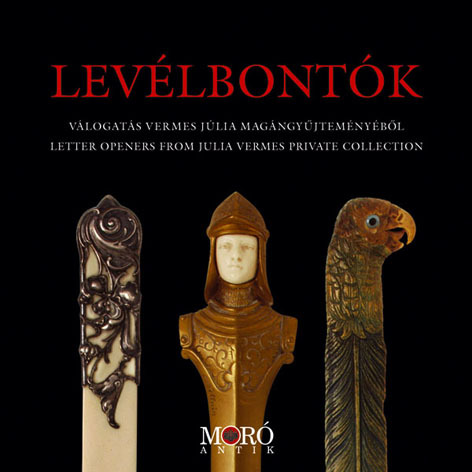 The material of our exhibition at september 2008 was a selection from the letter opener collection of Julia Vermes. 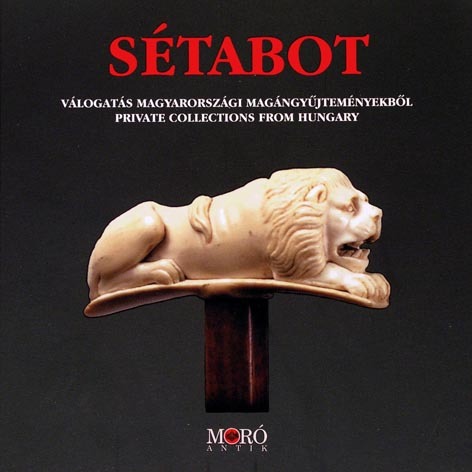 Hundreds of pictures and descriptions can be find about this fascinating subject in this book. This book is designed to serve as a guide in the extremely intricate and complex art of Tibetan Buddhism. The sculptures represent the art of eight centuries. Owing to the spreading of Buddhism in the western world, interest is growing in the subject, so that more and more westerners become fascinated by these beautiful pieces of art. 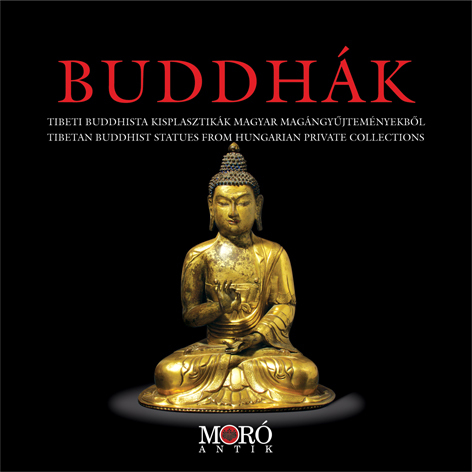 We have chosen 108 “Buddhas” from 16 private collections in Hungary. The number 108 represents a sacred number in Buddhism. The material of this book embraces four thousand years, from 1800 B.C. till the pieces of today. The 113 daggers come from four continents, countries from America, Africa, Asia and Europe. The daggers in this book well illustrates how great can be the richness of form of objects made for the same function. 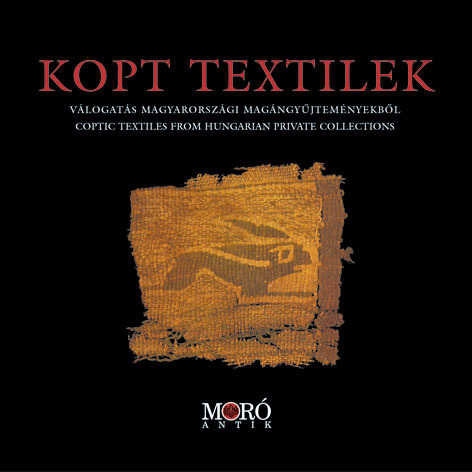 This catalogue contains photos and detailed descriptions of 34 incredibly aged textiles from the Coptic culture. Coptic culture existed from the 3rd century until the arabic conquest of Egypt. This walking stick catalogues connected to our exhibition on the subject at 2004. In this book one can find simple and elegant silver-headed cane but also some really interesting “gadget” canes with swords, clocks or with small whisky bottles inside them. 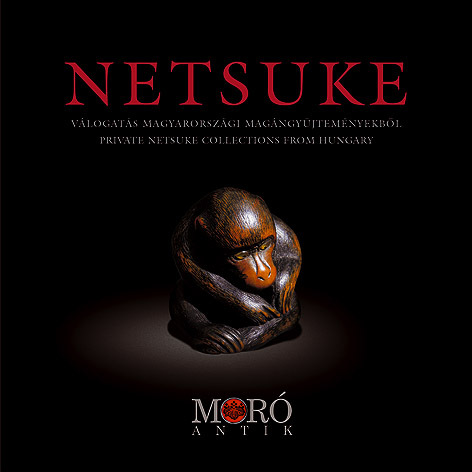 We dedicate this book for those who already know and for those who do not know yet what a netsuke is. A great many people will be touched by this beautiful branch of the Japanese culture. Through these 120 netsukes we can be allowed to inspect the old Japanese weekdays, religion and mythological world. Most of these netsukes had published in this book for the first time.